The weather in Lerwick, Shetland is not always suitable for playing ball sports outside. 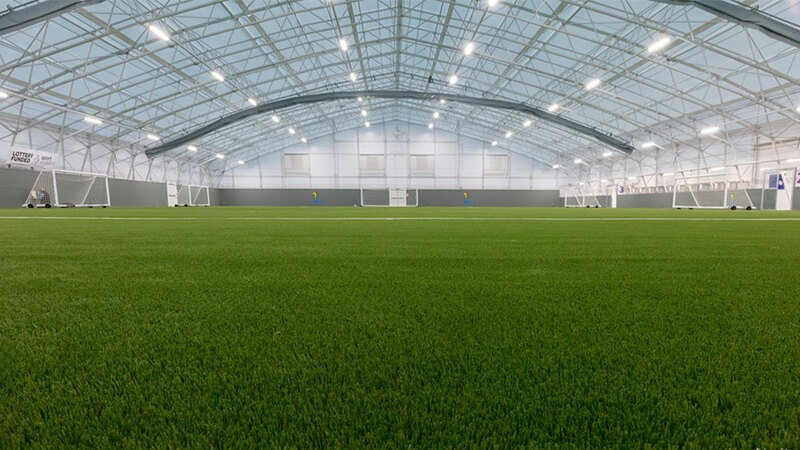 The state of the art new Clickimin indoor artficial sports pitch aims to address this with a fully enclosed 60 x 40m indoor artificial pitch to be used primarily for football but also for rugby and athletics. The specialist contractor Collinson built the canopy using an ultra tough membrane. This membrane was 3 times as thick as the equivalent material used on the Scottish mainland to withstand the strong winds. The canopy material is translucent and allows daylight inside the building. 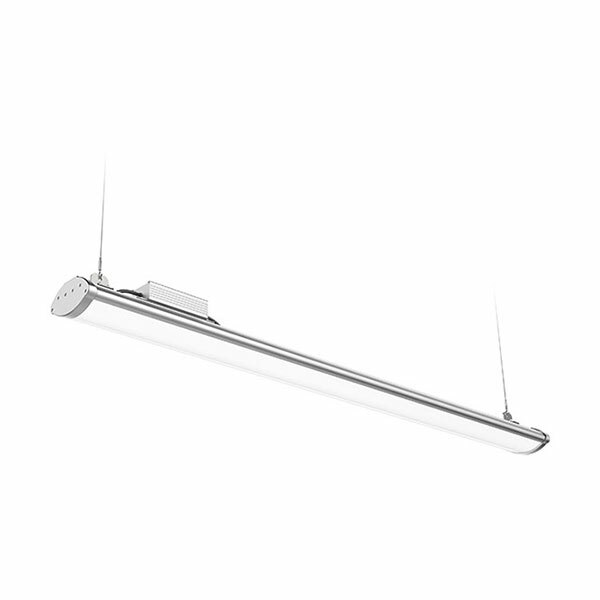 The facilities need to be used during the long hours of darkness as well as daytime and Collinson searched for a very bright linear LED fixture suitable for sports halls that could withstand a direct football impact and also be controlled via motion and daylight harvesting sensors. Exled’s unique HBL-LIN-200-HEXF product was selected, because it delivers an exceptional lumen output while meeting all the other requirements as well. Maintenance considerations were also key, and again the Exled 200W HEXF fixtures were chosen because of the very high build quality. Everybody is delighted. The centre is already busier than anticipated with some local clubs booking more than twice a week. Must of the time players are playing solely under artificial light from the Exled Linear High bays. Chairman of the Shetland Sporting Partnership Strategic Group, SIC councillor George Smith, said the new centre is a “tremendous addition” to sporting facilities in the isles. "This provides much needed pitch space under cover, to help our sports people develop their skills and enjoyment of their sport. It will allow for greater balance between summer and winter football with its size being adaptable to suit different group numbers and structures."